What do you do with your candle jar once the candle has burnt out? If you like to recycle, consider reusing them around the house. Our jars have a lot of life left in them, so why not check out some of the ways we like to reuse our jars. One of the most simplest ways to reuse a C&W candle jar is to turn it into a vase! With clippings from your garden or small wild flowers on a country walk, it's a budget-friendly way to indulge in fresh flowers. Gather empty jars on your bathroom shelf and fill them with your beauty-regime essentials. Our smaller jars are the ideal size for Q-tips and our larger jars are perfect for holding makeup brushes. What to do with an empty candle jar? Turn it into a little planter of course! It's a cost effective way to bring a little nature into your home. 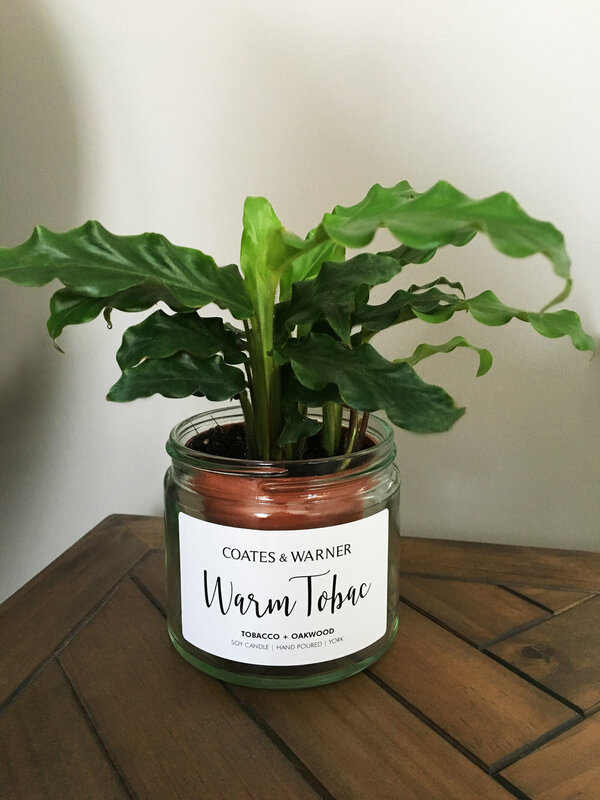 A small fern or succulent would be the perfect sized plant for our jars and how cute does this one look! Need a little tidy up at your desk? 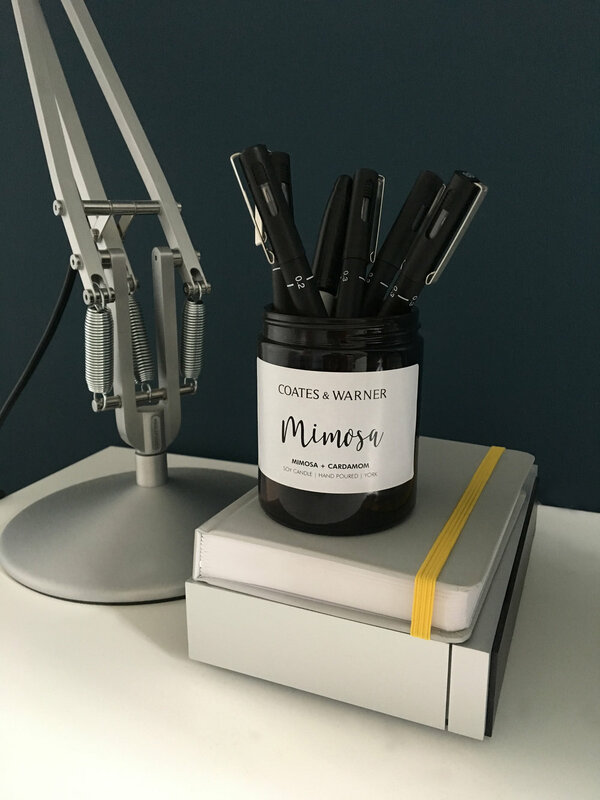 Keep your pens and pencils organised with our candle jars! Our candles are designed with the environment in mind. As a result, we encourage you all to reuse or recycle our jars. We are currently exploring re-fill options... watch this space! *Remember to remove any remaining wax and wick before reusing! We like to keep our labels on, but if you choose to remove them, our labels will peel off easily with just a bit of warm water and a sponge.